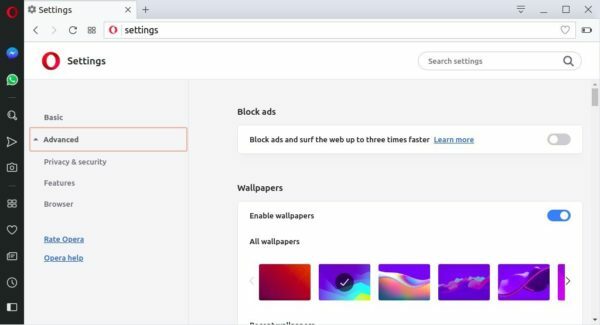 Opera web browser reached the new stable 55 release a day ago with a new settings page, better page control, and easier Chrome extension installation. New layout of settings page options for the start page, the user interface, dark theme support, languages, downloads, system, shortcuts and for reset settings. Add install button when visiting Chrome extensions web store. Bookmarks bar now is enabled by default. Click the heart icon on the right side to add new bookmarks. For the Opera snap package, simply remove it from Ubuntu Software. For the Opera apt repository, launch Software & Updates and navigate to Other Software tab.